The first few months of a deployment can be the most difficult. Having to adjust to a new routine and learning to live without your spouse can be quite intense. 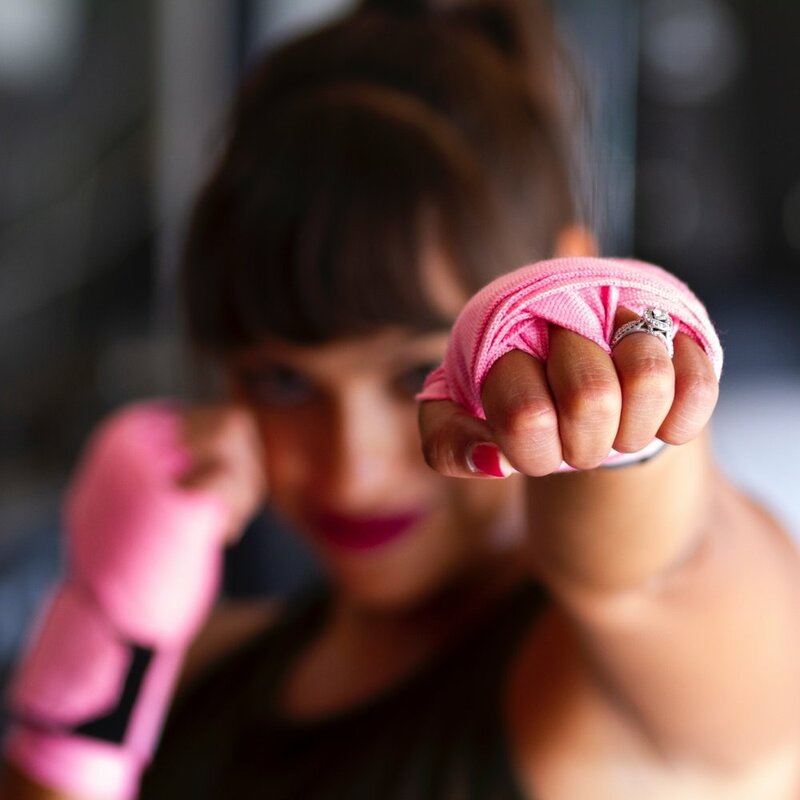 While some of the best advice for surviving deployment is to “stay busy,” another idea to consider is focusing on your own health and wellness by setting a fitness goal. Fitness can help you through deployment in several ways. First, it can help you beat the blues when missing your spouse becomes too much to bear. The endorphins released during a good sweat session at the gym can turn your frown upside down. Exercise will make you feel good, from the inside out. Second, setting and accomplishing a fitness goal can help you build confidence in other areas of your life. Pushing yourself physically to accomplish a goal does something magical to your self-confidence. That spills over into other areas of life and gives you some added mojo to accomplish other goals that you were once fearful to try. Lastly, with the endorphins and self-confidence gained through fitness, you begin to view yourself in a much more positive light. Regular exercise can give you a natural glow and physical results that are noticeable. This can keep you motivated and feeling great about yourself. Below are five fitness ideas that can help you challenge yourself. 1. Sign-up and train for a race. Are you a seasoned runner or a beginner? Sign up and try something that you have never attempted before. If you are an experienced runner, then try a 10K, an obstacle race, a half marathon, or a marathon. If you are a beginning runner, then start out with a 5K race and work your way up. Find a race that will give you a challenge and go for it. Signing up is the first step in making that commitment. Then, it is time to begin training. As an added bonus, recruit a friend or two to join in. You can all help each other train and stay motivated. It’s scary going to activities alone, but it is a great way to meet new people and get fit in the process. 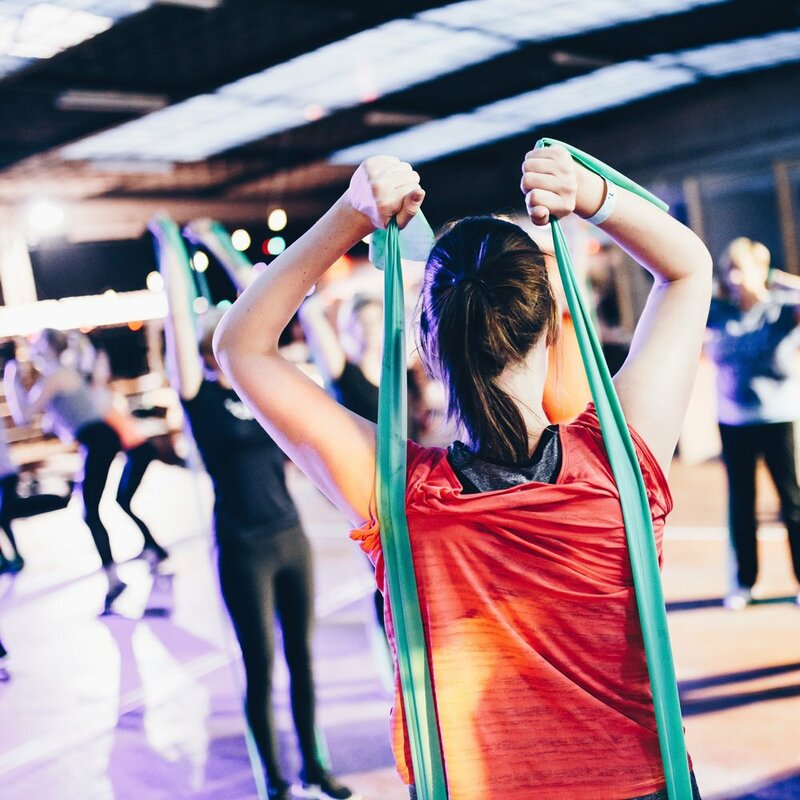 Find a gym that offers group fitness classes and give one a try. Many times, they allow your first visit free of charge, so check it out. You will be surprised how good you will feel and how great it is to be around others. You might even make a new friend in the process. 3. Join a Fitness Group. If going to the gym isn’t your thing, then find a fitness group in your area. Outdoor workout and running groups are super common these days. See what your area offers and give it a try. Many mom groups exist too that allow you to bring your kids and strollers along. This is also a great way to meet others while you are also working on your physical fitness. 4. Try an unconventional way of exercising. Unconventional forms of exercise are some of the newest trends in having fun while also getting fit. Some of these include; aqua spin, aqua yoga, aerial yoga, indoor rock climbing, and jumping on a trampoline. These are all fun and challenging activities that might not feel like a traditional group exercise class. 5. Create a few at-home workouts to add to your routine. Let’s face it, there are some days where you just don’t want to go to the gym. That’s okay. In order to stay dedicated to a fitness regimen, it’s important to develop some at-home workouts that can be easily implemented a few days per week. Depending on what type of home equipment you have will depend on what workout to utilize. There are many videos online that will be of great assistance for those at-home days too. Whatever method you try for exercising, know that it will provide many benefits to your survival of deployment. The key is to start out small and make fitness a priority. Commit to your health and wellness through regular exercise and you will notice many amazing benefits to your mind, body, and spirit. Wendi has spent the last nine years as an adult educator, has a Master of Arts in Educational Media, and a Bachelor of Science degree in Early Childhood Education. Currently, she is a blogger, freelance writer, aqua spin Instructor and avid volunteer. In her free time, you can usually find her volunteering at USO’s story time, outdoors in the garden, running, cooking up a new recipe, or playing fetch with her adorable Beagle, Daizi. Wendi is extremely passionate about helping others find their inner strength by sharing her experiences, insight, resources, and inspirational stories on her blog Strength4Spouses. Check out everythng inside of the JANUARY Brave Crate!